Around the time I learned I'd be staying a night at the guest house at Gustafson Family Vineyards, Modest Mussorgsky's rousing tone poem "Night on Bald Mountain" was in heavy rotation on Classical KDFC. So every time I thought about the upcoming stay, the strings went allegro feroce in my head, and then the horns cut in—I'd toured this pad before, and knew it was one dramatic domicile. Soaring above Dry Creek Valley, with views for miles and miles, the guest house at Gustafson is an architecturally modern mashup of Quonset hut (think Rio Theater), Italian village bell tower and maybe Millennium Falcon—the glassed-in living room like a ship's bridge jutting above the vineyard. I had to get that song. Alas, my outdated MacBook has lost touch with iTunes, and a new one costs about the same as an average night's stay at the guest house, which is rented via VRBO (Vacation Rental by Owner). Thanks to the team at Gustafson, who sponsored the Bohemian's Best Of writer's retreat here. Well, I guess the day I picked didn't work out for everybody else—but more Syrah for me. The perk of Mondays is that the tasting room is closed for much of the week, so house guests may wind up with a leftover or two. Besides, the refrigerator is stocked with crisp rosé. The house sits on a mountain of wine. And what's this—a complimentary bottle of fortified Zinfandel and Petite Sirah dessert wine? Winery founder Dan Gustafson insists on it. I raise a toast to my colleagues from the deck overlooking Alexander Valley and points beyond, where lights twinkle in the gloaming. No dramatic strings needed for this scene, as mists boil out of folds in the forest, and fog spears the valley below, an ice dragon's breath in slow motion. The vines are so close, in summer I could just reach from one of the Adirondack chairs and grab a bunch of grapes. 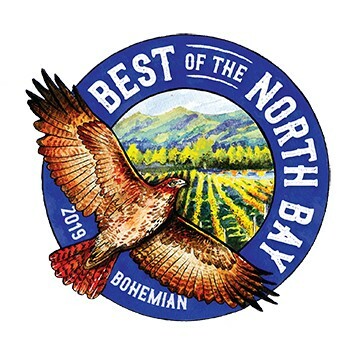 of the North Bay's food and drink. gfvineyard.com.—J.K..
Husband-and-wife team Josh and Sarah Opatz wasted little time in decamping from big-city careers to open a small craft distillery in Healdsburg, and their house-mashed and distilled bourbon wastes even less time barreled down in American oak before it's ready for prime time. 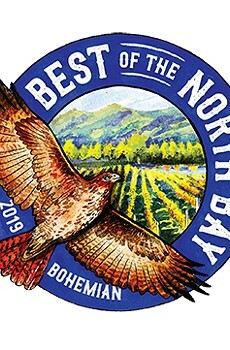 But they're pulling no fast one on Bohemian readers, who voted Young & Yonder Spirits' "Stave Robber" high-rye bourbon ($45) Sonoma County's Best Bourbon in this year's readers poll. High-rye means that the bourbon, which must be distilled from a mash (kind of like a soupy beer) of at least 51 percent corn, also retains the character of a good helping of rye grain—in this case, 35 percent, along with malted wheat and barley. Bourbon must also be stored in charred new barrels, but there's no requirement for the length of time, nor size of barrels. Thus, Young & Yonder can kick their high-rye into high gear with small, 15-gallon barrels instead of the usual 55-gallon casks (although those are in the works), within a year or so. The result is toasty and roasty, like flame-grilled kettle corn, yet dry and spicy, not corn-heavy and sweet, on the back end. That's the rye kicking in. Mix it up for a Manhattan, and melt those little-town blues away. 449 Allan Court, Healdsburg. youngandyonder.com.—J.K. It would be an understatement to write that we in Northern California love our crab. However, in our admiration of the blessed Dungeness, we forget that the rest of the world can make a pretty mean crab dish. And wouldn't you know it, the purported best crab in the world is only one flight away from SFO. But it's a 17-hour flight to Singapore. For the best taste of Singaporean crab without the jet lag, try the chili or pepper crab at Fantasy Restaurant in Petaluma. Only offered in the winter months, this spicy crab can give the version at Singapore's famous Long Beach Seafood restaurant a run for its money. Although you don't have to buy a plane ticket to dine at Fantasy, you still need to save your pennies. One prepared crab goes for $55–$70, depending on availability. If crab isn't your thing, Fantasy offers an extensive menu containing many Hong Kong and Singapore favorites. 1520 E. Washington St., Petaluma. 707.658.1866.—T.B. Cody Brown remembers Def Coffee, which once advertised itself with the slogan, "Friends don't let friends go to Starbucks." Def doesn't exist any more, and we all know the Starbucks story. Brown (pictured) isn't ready to take on a coffee chain, but he and his family, including his twin brother, operate Crooks Coffee on Mendocino in Santa Rosa, which has quickly become a destination for artists and writers, along with parents and their kids who want a cappuccino, a chai latte, a hot chocolate, a bagel with cream cheese or peanut butter, plus shelter from a stormy winter day. The crème brûlée latte is a house specialty. So is the London Fig, an Earl Grey tea with steamed milk that warms chilled bones. 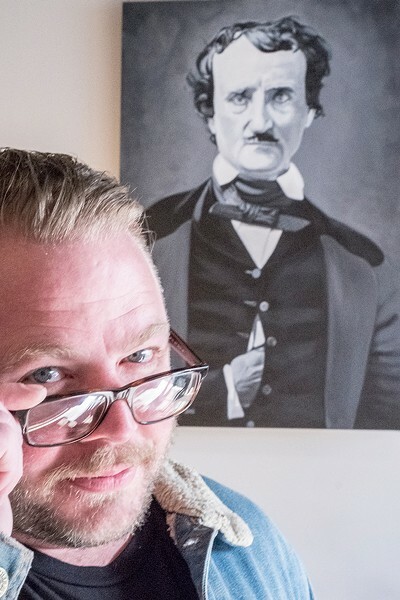 Edgar Allen Poe is the patron saint of the place. His portrait hangs on the wall opposite the front counter. The author of "The Raven" looks like he's been up all night writing weird stuff. Brown, who was raised in Santa Rosa and attended Santa Rosa Junior College, has big dreams for his convivial coffeehouse. One of them is a community art project. Another is a community garden. Yet another is barter night when money doesn't change hands but goods do. "I want to bring Santa Rosa back to the way it was when I was a kid and there were neat places where you could hang out, talk and play games," Brown says. "We're aiming to do all that and more." 404 Mendocino Ave., Ste. C, Santa Rosa. 707.791.3365. crookscoffee.com.—J.R. Yes, that's exactly like the Bohemian readers poll called it: Carpe Diem Wine Bar in downtown Napa, Best Place to Dine Solo. Believe me, I know what people ask about concerning the Bohemian's Best Of picks, as I've been at this game since long before Carpe Diem took this space over from a Chinese restaurant that I used to visit every week when I had what was at the time for me a sweet little gig actually delivering this newspaper, and that, if it was a best of anything, might have been "Best Spot to Dine Solo on Christmas Where No One Will Notice You Crying into Your Wonton Soup." So this is what people want to know: is it a stuffed ballot, or what? I stopped by Carpe Diem at happy hour last week to check it out. I don't mind the tough assignments. First thing I ask the bartender is, "Do you have a Bohemian around here?" He doesn't know what I'm talking about. Good sign. But he knows what he's doing: thorough and efficient, welcoming without a trace of artificial glad-handing, he's got it down. It's early, and I'm solo at the bar. A couple comes in, then another. At least no one turns a spotlight on me à la Steve Martin in The Lonely Guy. But then a gorgeous dame—sorry, was I channeling the Bohemian's film noir theme from Best Of 2015? What I meant was, a smart and professional-looking woman takes a seat to my right. We're almost touching elbows, although there's a chair between us—the tight bar seating is a constant conversation starter of the evening here. We flash smiles, then tuck into cheese and charcuterie, fried risotto balls, rosé wine and brut. Turns out, she's here sort of on business, too; business card follows, but as this has not been voted best networking spot, nor pickup spot, we just have a warm, brief conversation between two solo diners. It's a success. OK, Bohemian readers, this one's your win as far as I'm concerned. As I get up to offer my place to an arriving couple, I joke with them about the crowded seats. We flash smiles. 1001 Second St., Napa. 707.224.0800.carpediemnapa.com.—J.K. If John Steinbeck had needed a character that was part mountain man, part scientist and part craftsman—and the character happened to be a legendary vineyardist from, say, Sonoma County—he might very likely have named such a person "Duff Bevill." Duff Bevill is a very Steinbeckian sort of name. And as it so happens, there's a real person named Duff Bevill. A widely renowned and respected expert on vines and vineyards, Bevill—a big, sturdy, exuberantly bearded fellow—is the owner of Bevill Vineyard Management, with dozens of clients that range from very small, family-owned vineyards and wineries to the very, very large. Bevill, who originally dreamed of becoming a fruit and nut expert, came to Sonoma County's Dry Creek Valley in the summer of 1973, and immediately changed course, eagerly seeking out and learning from the area's many storied older farmers and winemakers. This self-directed education gave Bevill a strong sense of the region's history, something he carefully honors and protects to this day. In fact, he decided to bring that history to life on one small acre of his own vineyard, planting Zinfandel budwood borrowed from five celebrated Dry Creek vineyards (Cuneo, Hambrecht, Beeson, Teldeschi and Guadagni), all dating back to the late 1800s. From those vines, the family-owned Passalacqua Winery, in Healdsburg, has been annually making a few fast-selling barrels of Bevill Estate Zinfandel, sold exclusively as "wine futures," to wine drinkers with as high an appreciation of Sonoma County wine history as that of the great Duff Bevill himself. bevillvineyard.com.—D.T. The sign in the window says "Ouvert." That's French for "Opened." It's a sunny Thursday afternoon, and Les Pascals bakery and pastry shop in Glen Ellen is open for business and getting ready for St. Patrick's Day. Pascal and Pascale Merle—the husband-and-wife team who own and operate Les Pascals—are thoroughly French, but they're not so French that they can't also be Irish at least once a year. He's jovial; she, charming. They met 25 years ago at a large bakery in Dijon, fell in love and got married. Pascal does the baking, along with partner and boulanger Sean Perry. Pascale works the front counter where mouthwatering breads and diabolically tempting pastries are on display six-days a week. On Wednesdays, Pascal and Pascale take a break from making and selling croissants, baguettes and petite madeleines that evoke the little cakes French novelist Marcel Proust swooned over in his classic In Search of Lost Time. When asked about his job, Pascal says, "C'est un reve"—translation: "It's a dream." Though Les Pascals has only been open a year, it already has die-hard fans, some of whom love to hear Pascale speak English with a French accent. Oh là là. You don't need a translation for that and you don't need a translation for "baguette," either. 13758 Arnold Drive, Glen Ellen. 707.934.8378. lespascalspatisserie.com.—J.R. Another brewery? Yawn. But wait. Seismic Brewing Co. is different. What makes Santa Rosa–based brewery stand out is its light environmental footprint. It takes a lot of water to make beer, about eight gallons to produce one gallon of brew. Using state-of-the-art brewing tech, Seismic has got that ratio down to 2:1. The brewery employs a number of other ecological innovations like on-site wastewater treatment that converts 95 parent of wastewater into potable water used not for brewing but H2O–intensive cleaning applications. None of that would matter if the beer wasn't any good. It is good. Seismic makes five beers (ales, IPAs and a pilsner), as well a number of seasonal brews. I'm partial to the Namazu, an oat pale ale that weighs in at a lean 4.8 percent ABV. It's a good gardening beer. And it comes in a can with cool label art featuring a Japanese catfish riding the wave of a tsunami. 2932 Dutton Ave., Santa Rosa. 707.544.5996. seismicbrewingco.com.—S.H. Darn Pet-Friendly Winery That's a Dog Winery for Dogs, Capiche? 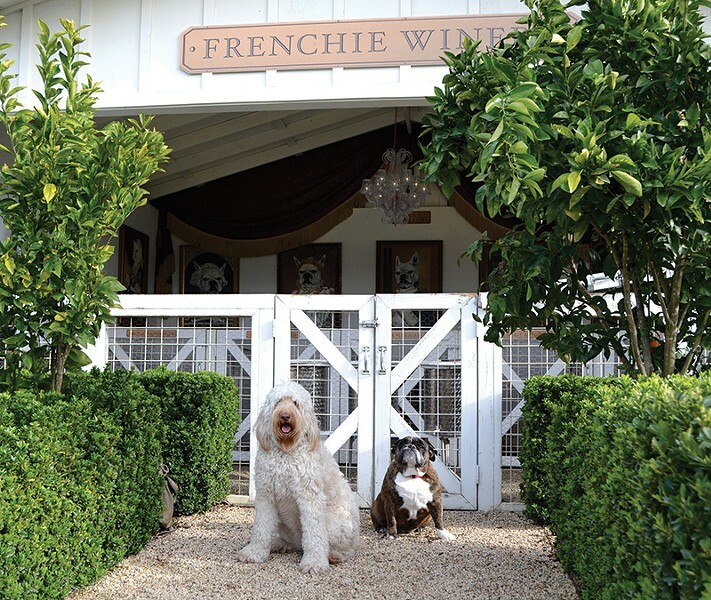 You wanna know about the best pet-friendly winery in the whole of this Napa Valley wine country? I got one word for you. Frenchie. That's it, it's Frenchie's winery. Sure, maybe there's wineries been friendly toward your pet, or your therapy lemur, or whatever rat-sized excuse for a dog you snuck into the tasting room in your handbag. But if you got an issue with this one, you can take it up with the voters of the Bohemian newspaper readers poll, capiche? OK, I'll level with you. Frenchie ain't no real winery. It's just a kind of a place for dogs to hang out that's next to a winery. One called Raymond. High-class joint. They got Cabernet Sauvignon and all that stuff. They got a cuvée (look at me with the fancy words) with legendary singer John Legend, for crissakes. And chickens, go figure, it's a mixed-up place. But like I said before, it's a class act, and here's the sweet part of the story: the owner, Gallic gent by the name Jean-Charles, gifted an adorable little French bulldog to his lovely wife, Gina, who also helps run a little family wine business, as a reminder of the loyalty of "a true French gentleman." 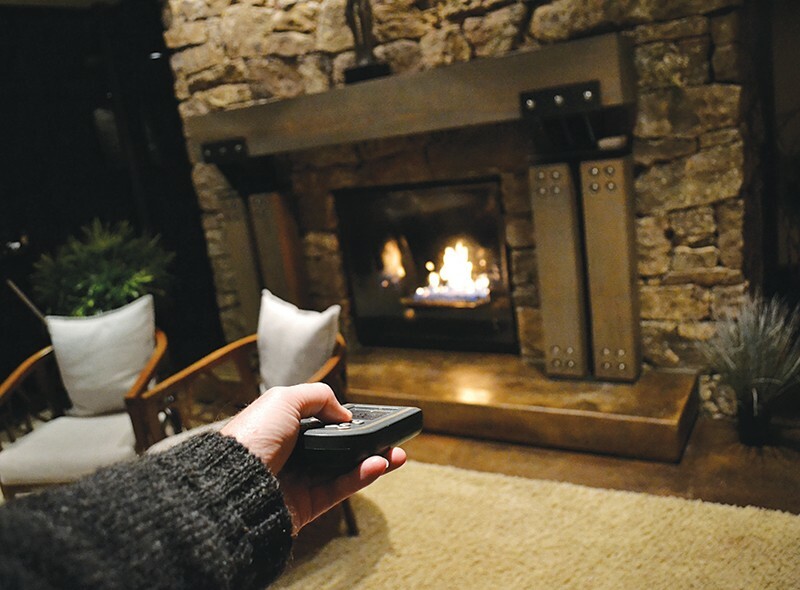 Sweet, and here's the sweeter part—you can bring your own pooch to the "winery," a kind of classed-up shed, and set 'em up with some dog treats, for sale at the tasting room, and a nice dog bed in a wine barrel, and keep tabs on 'em via web camera—when it's working. Everything's not perfect all the time, OK? And there's a jaded-looking cat squinting at me when I walk up to the place, and don't expect to find Frenchie when you get there, because Frenchie hisself is sadly deceased. But then here comes a whole mess of crazy happy dogs, proving that you don't mess around wit' ol' Frenchie. Capiche? 849 Zinfandel Lane, Saint Helena. 707.963.3141. raymondvineyards.com.—J.K.